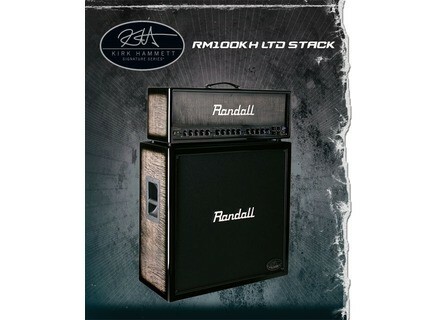 RM100KH Half Stack Limited Edition, Solid-State Guitar Stack / Half Stack from Randall. 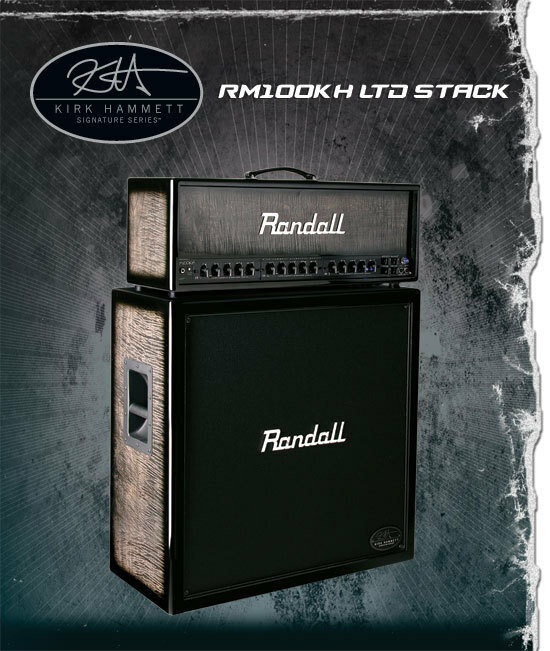 Randall Amplifiers introduces the Kirk Hammett Limited Edition Half Stack. This collectable half stack features solid maple cabinetry, chrome hardware and custom paint job. The exclusive Kirk Hammett stack includes a 4 x 12" cabinet, 100W power-tube head and signature MTS modules. The custom gear arrives painted in a black-burst color scheme complete with polyurethane finish. The end result is a unique-looking half stack that is said to have captured the sounds of Metallica's legendary guitarist. The Limited Edition Half Stack complements Randall's full line of Kirk Hammett Signature Series products, which includes MTS modules, all-tube heads, as well as power tubes. Kirk worked directly with Randall to ensure that all aspects of the products, from the look and feel of the heads and amps to the distinct tones of each MTS module, were up to his standards.